Two part base nutrient compatible with all mediums and growing systems. 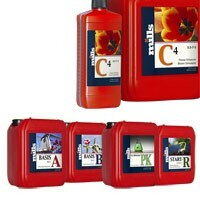 A bloom additive designed for fruiting or flowering plants. A high nitrogen additive used in the vegetative stage.